If you can "NOT PAY" with PayPal, MasterCard, Visa, Discover and American Express credit or debit cards. PLEASE "DO NOT" PLACE AN ORDER ON THIS SITE - PLEASE CONTACT US FOR OTHER OPTIONS. All prices on our site are in US dollars and charged in US dollars. We do not provide currency conversion your bank will convert depending on the going rate at the time you place your order. All applicable custom fees, taxes and duties are the sole responsibility of the customer. 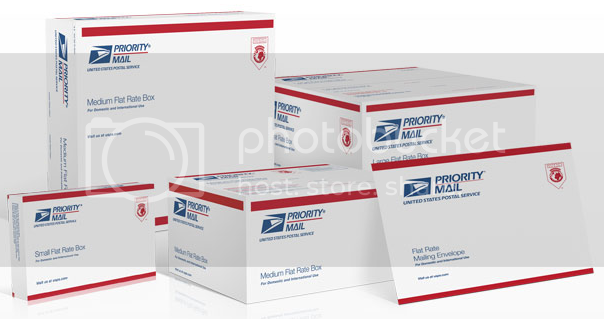 Custom authorities require that we state the value of your order directly on your package. *International shipments are still subject to shipping fees regardless of purchase amount. *Please Note* There is a $16.95 Minimum Shipping Fee for All International Orders via USPS Priority Mail (Includes Insurance & Tracking) Some orders may be billed or invoiced a seperate shipping charge if total shipping is not paid with order at checkout. In such cases Paypal checkout may not list the total shipping charge you will see the difference in your order please check your email for an additional shipping charge invoice - Orders placed will not ship until additional shipping charge has been Paid/ "CLEARED" . International Orders: Please note that international orders are final. At this time we cannot accept returns or exchanges for them. ORDERS CAN NOT BE CHANGED ONCE PLACED. Once an order has been placed on our website we do not allow order changes. Please Provide a CORRECT ADDRESS, We are not Responsible addresses that are Typed in Wrong as we only will ship the address that you provide us-Thanks! We do offer international shipping, depending on your country, please allow 2-4 weeks for international order. Holidays & International Customs may Delay your Order Arrival. Any order that we cannot verify an international address or that we feel is fraudulent we will refuse to accept payment by credit card. You will receive an e-mail and/or text message to the e-mail and phone number left on the order informing you that your order has shipped. Tracking number will be included in the e-mail. All shipments are done on during the weekdays. Shipping laws are different in each country. Customer assumes the responsibility to check with his/her customs office to verify whether his/her country permits the shipment of purchased products. Mysexywaist.com is not responsible for any direct, indirect, punitive, or consequential damages that arise from improper international shipping practices. RUSH ORDERS ARE NOT ACCEPTED AT THIS TIME! PLEASE DO NOT ORDER EXPECTING TO RECEIVE YOUR ORDER WITHIN 24 HOURS! IF YOU HAVE A DEADLINE PLEASE ORDER 2-3 WEEKS IN ADVANCE!